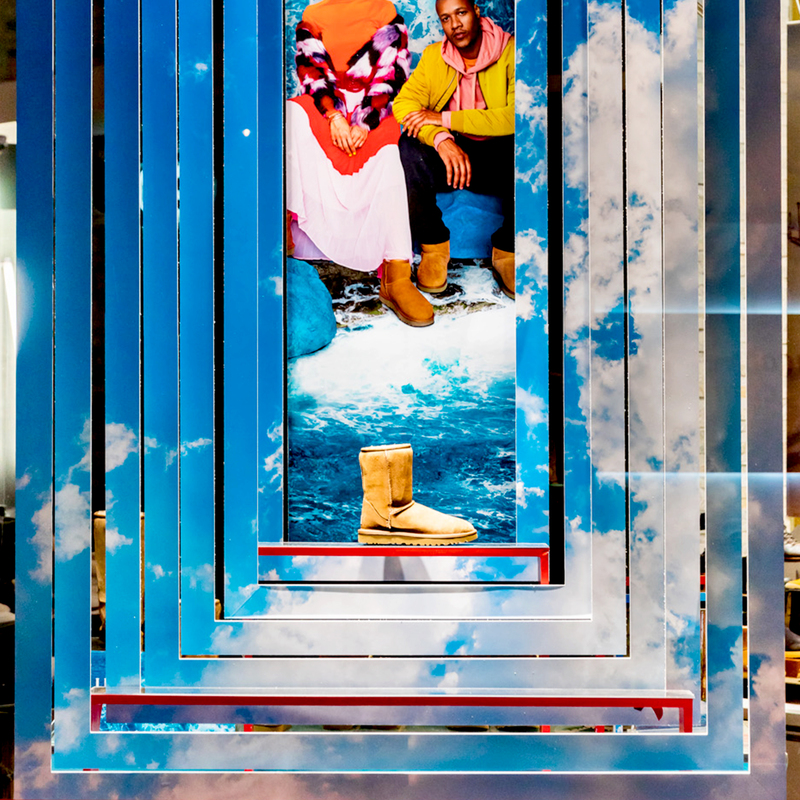 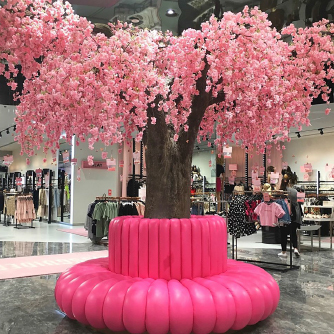 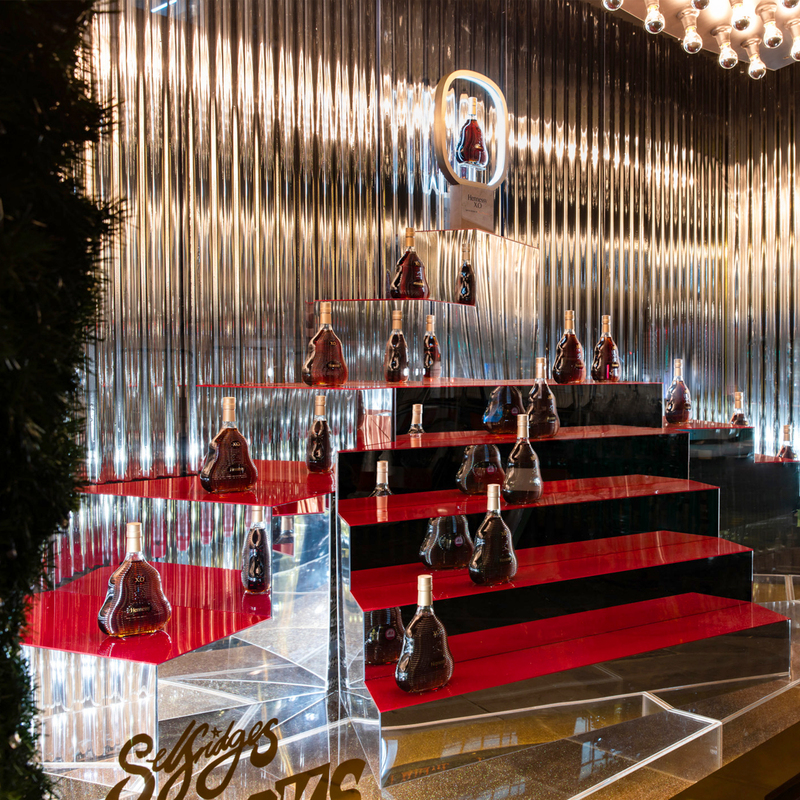 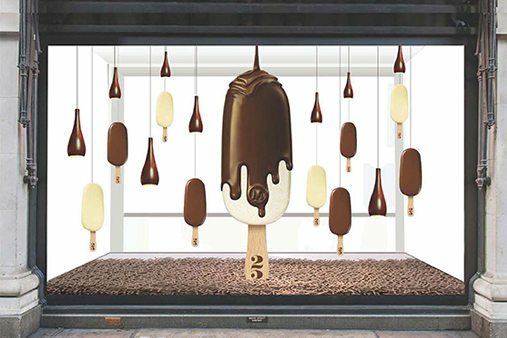 For the first ever Make My Magnum store experience, Prop Studios worked with The Edje to design, manufacture and install this innovative Pop Up and Window Scheme in Selfridges Wonder Room. 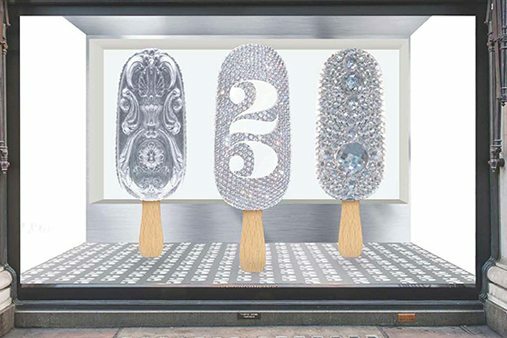 To celebrate the 25th Anniversary of Magnum we wanted to create a memorable, multi-sensory experience where customers would, for the first time, engage with the Mangum brand on a physical level. 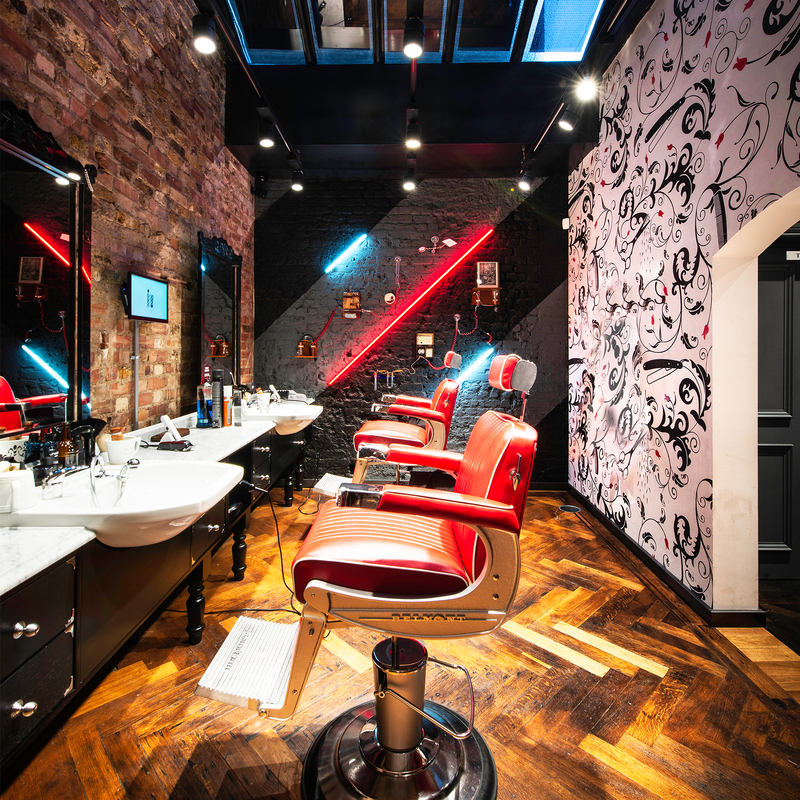 "Well done to you and all the team for all the hard work… the results are spectacular and to be proud of!" 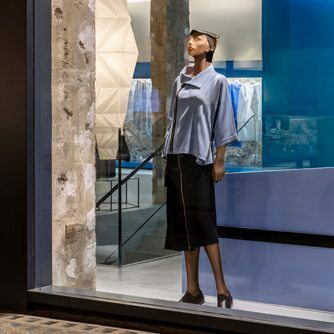 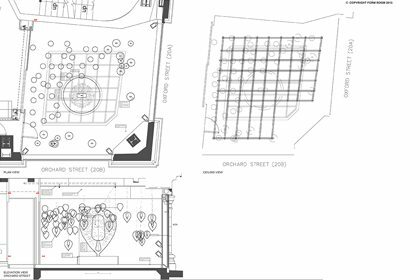 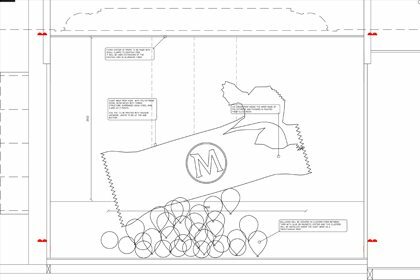 Working collaboratively with The Edje, we fully considered the Magnum brand and its extensive customer base to inform our initial concepts for the windows and pop-up. 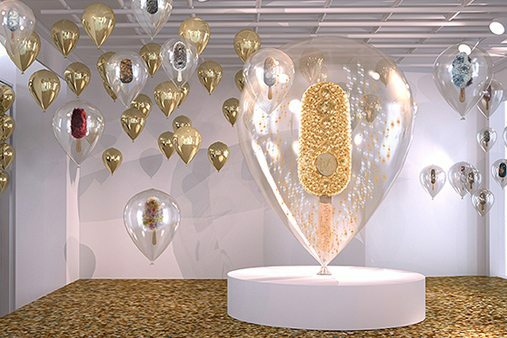 Across the four windows of the Wonder Room we depicted the Magnum brand through oversized, embellished sculptures and digital features. 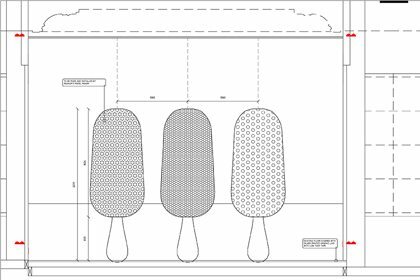 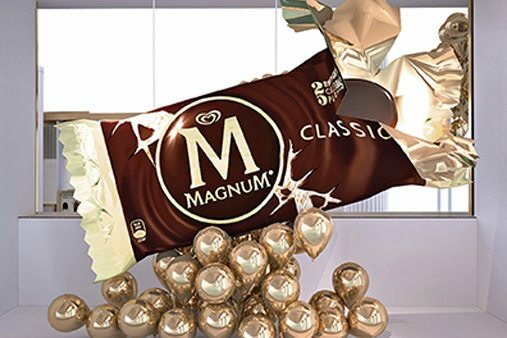 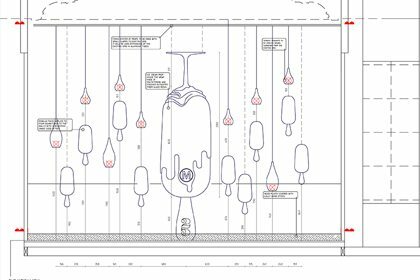 From a 2.5 metre, acrylic balloon encasing a gold encrusted giant Magnum lolly to a heat-moulded giant Magnum wrapper and individual miniature embellished Magnums – we delivered a spectacular window scheme that encapsulated Magnum’s luxurious, iconic identity. 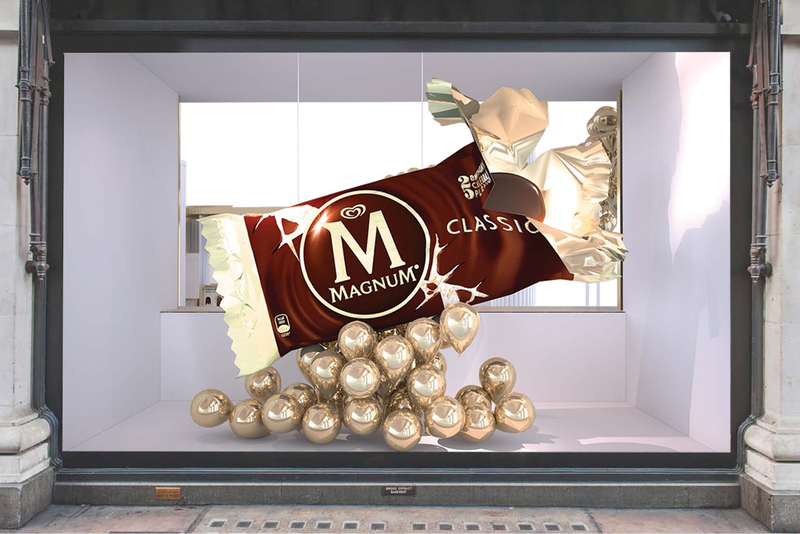 Prop Studios continues to visualise the Magnum stores globally with The Edje across Paris, Berlin and London. 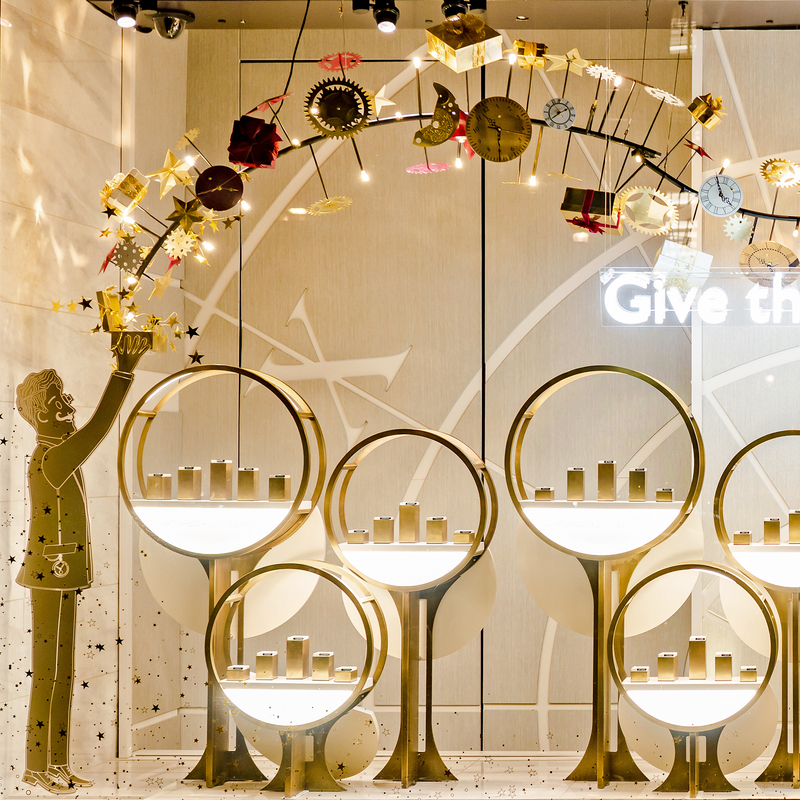 Our sister division FormRoom created the pop-up in the Selfridges Wonder Room.